Go Power! 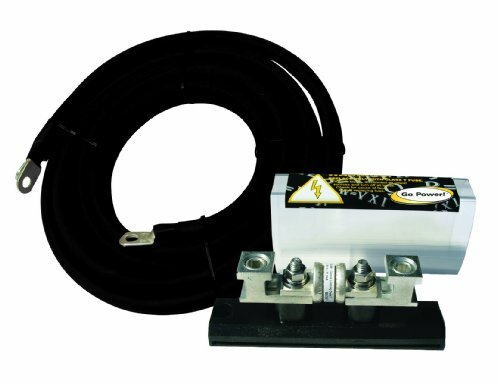 DC Installation Kit number 2 is used to quickly and safely connect the inverter to the batteries and comes with 10 feet of #4 cable with a 110 amp class T slow blow inverter fuse. This kit is used on 12 Volt inverters ranging from 600-Watt to 1000-Watt and 24 Volt inverters ranging from 600-Watt to 1800-Watt as well as positive cables are to be placed as close to the battery as possible during installation. This contains all the required instructions. If you have any questions about this product by Go Power!, contact us by completing and submitting the form below. If you are looking for a specif part number, please include it with your message.